Oil Leak Repair in Longwood, FL - EURO Specialists, Inc. Need Help With Your Oil Leak? 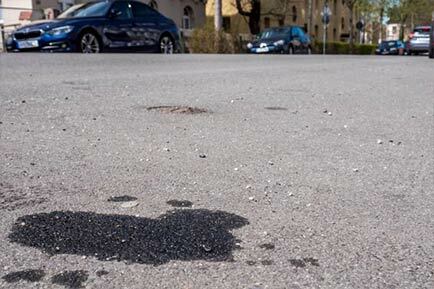 While a common issue in cars, it is important to arm yourself with the knowledge to spot oil leaks quickly in order to obtain an oil leak repair right away. What Is An Oil Leak? An oil leak is when oil begins to fall to the ground from the car due to degraded engine gaskets or oil seals. As a car owner, you know to have your oil changed regularly, but at times work, and other responsibilities may get in the way (or even laziness) and the oil change isn't completed in the time frame it was supposed to. This can cause problems. The purpose of car oil is to reduce the amount of friction within your engine parts. When you have clean, quality oil that is performing properly the components of your engine are not rubbing together and causing corrosion (this is a very good thing). With use, oil becomes dirty or contaminated and loses its viscosity. This in turn means that it can no longer perform the way it did and friction begins to occur. Friction is very bad, as it means that the metal and rubber components of the engine begin rubbing against each other, wearing themselves down, and erosion ensues. This is where mechanical failure begins to occur. The majority of oil leaks are due to worn out engine gaskets, oil seals, or bad connections. Like any other car issue, it is the job of your mechanic near me to find the exact source which can be difficult without the proper training, vast experience and tools used by our Master Certified Technicians. While some leaks may be caused by something simple such as a bolt coming loose and dripping into the oil pan, every car is different and requires proper protocol and training. Each car model requires their bolts to be tightened in a specific pattern and to a certain tolerance for example. You wouldn't entrust your health to an ill-trained or newbie doctor when the chance is give, so why send your car to any Joe-Shmo mechanic? At EURO Specialist, Inc. we are strict about who we hire on our team. Our Master certified technicians have the training and experience to fix the oil leak on any luxury and exotic car. Choose the best for your car. Please visit our appointment schedule page to get in touch with us regarding your repair. We look forward to working with you.